Endeavor has planned its own independent Fun Run (K-5th) and Color Run (6th-8th) for our students to participate in! It’s also one of the school’s BIGGEST fundraisers! By coordinating our own event, providing our own incentives and securing business sponsors, Endeavor will keep over 95% of the proceeds! Our goal is to raise $35,000 to continue to support Endeavor’s Athletic Program, our Fine Arts Program, technology and our top-notch Academic Program! 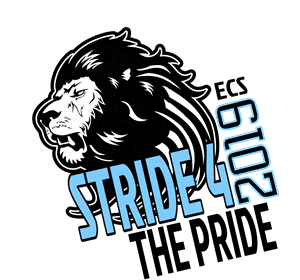 The Stride for the Pride will kick off with a student pep rally on April 1, 2019! Students will help raise money for Endeavor Charter School by logging on to FunRun.com with their parents! Families will have ten days to get pledges for every lap their student runs (K-5th) or flat donations for the Color Run (6th-8th). We’ll celebrate at the Stride for the Pride on Thursday April 11, 2019! Students will get a prize just for being registered! Reach out to friends & family near and far! Use Email, Text, Phone & Social Media to spread the word! Create and share your “Student Star Video” with FunRun.com! Each sponsor can enter a flat donation or a Pledge-Per-Lap. K-5th students will run an average of 30-35 laps (running, skipping, dancing & walking!) on a small track on our lower field! 6th-8th students will participate in the Color Run later that afternoon! Individual prizes for participating, registering and pledge levels! Grand Prize Raffles for each hallway!